Ubisoft has just announced that they are delaying the release of Rainbow Six: Siege until December 1st 2015 instead of coming out this October. Rainbow Six: Siege delayed due to player feedback, Ubisoft want to further improve the mechanics. The many different venues in which Rainbow Six: Siege has been available to play in, in addition to the closed-testing that they’ve had thus far have allowed Ubisoft to take into consideration the feedback from those many different sources in order to better refine the game for more enjoyment. It seems that while the reception has been mostly positive, there are some very apparent things that need to either be fixed, changed or simply removed. That’s why they’ll be delaying the released until December so that they may further enhance the issues that have been noted and add that extra bit of polish. 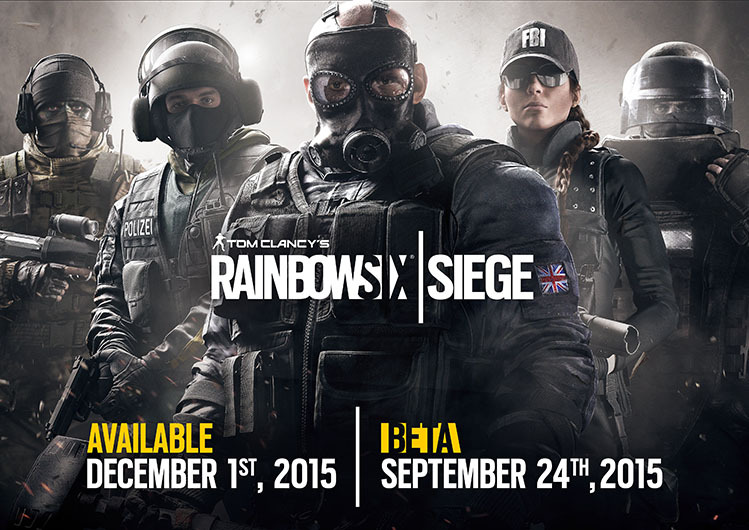 With that in mind, we’ve decided to push the release date of Rainbow Six Siege to December 1, 2015 for all regions. This wasn’t an easy decision, but based on the feedback we’ve received, and based on our own internal tests, we felt there are adjustments and improvements we can make, including improving the co-op experience across all game modes, weapon and gadget balancing, as well as menu and interface navigation. We’re taking a little more time to make these changes, and we think it’s the right call. The official closed-beta is still scheduled for September 24th, however, just as planned. That will go a long way in refining the matchmaking and server infrastructure.